Courtesy Dr. Marki Sugimoto, Transition Hair Solutions, Airbus, CEIT Biomedical Engineering, 3dChef and Under Armour. The world of 3D printing took off in awe-inspiring directions this past year—pushing creative boundaries to discover new methods and uses of additive manufacturing. 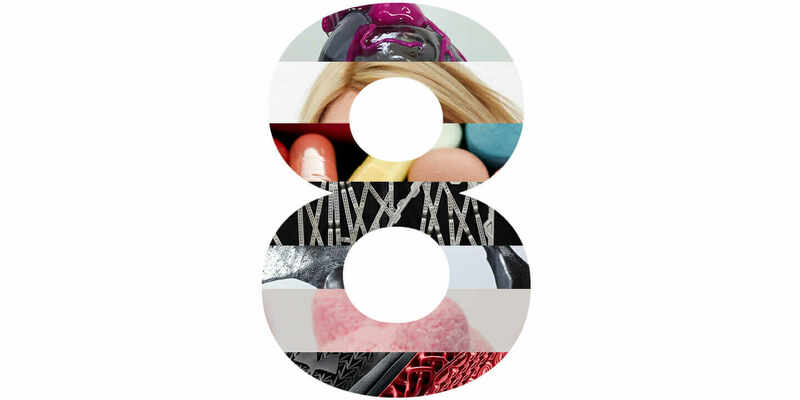 Here are eight stories from 2016 worth revisiting, showing what 3D printing can do in medicine, food, beauty, construction, and production. Mechanical testing of the UA Architech. Courtesy Under Armour. 2. Under Armour’s Custom Shoe. Taking inspiration from nature, Alan Guyan—director of design and manufacturing innovation at sports-clothing company Under Armour—redefined the future of footwear, using generative-design software to produce the first 3D-printed performance training shoe. CEIT’s 3D-printed titanium implant restored 86 percent of a patient’s maxillofacial bone tissue. Courtesy CEIT Biomedical Engineering. 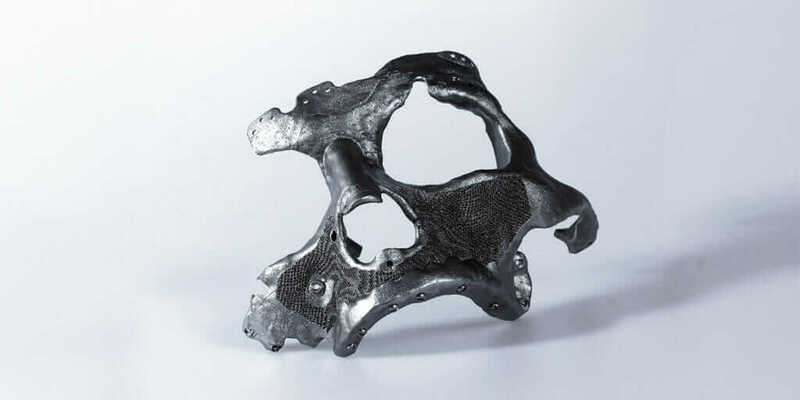 3D printing has helped doctors at Buenos Aires–based Novax DMA and CEIT Biomedical Engineering from Bratislava, Slovakia, create custom titanium surgical implants to correct inherited conditions or those caused by injury or disease­. These doctors now have ability to not only create complex freeform shapes and surfaces that are lighter and last longer but also control density, which helps improve the success of the porous implants. The bionic partition design takes shape. Courtesy Airbus. Using generative-design software and 3D printing, Airbus manufactured a partition using bionic design that is 45 percent lighter than conventional airplane partitions and based on the properties of slime mold. In collaboration with New York–based architectural firm The Living, Airbus used three different additive-manufacturing systems to create the partition, whose light weight results in huge fuel savings, carries a smaller carbon footprint, and foretells the possibility of a fully 3D-printed plane in the future. The future of 3D-printed food is more than just a passing fad for Anjan Contractor and Jordan French of Beehex, Inc.; Jason Mosbrucker and Luis Rodriguez of 3Digital Cooks; and scholars Sonia Holland and Dr. Kjeld van Bommel. For these innovators, it’s about creating a new food experience that saves space and time while reducing waste, creating new diet foods, and more. Looking to the future, Mosbrucker envisions “wearables talking to your refrigerator, which then talks to your oven, which then talks to your 3D food printer,” resulting in a nutritionally optimized meal ready to eat upon waking up or returning home from work. 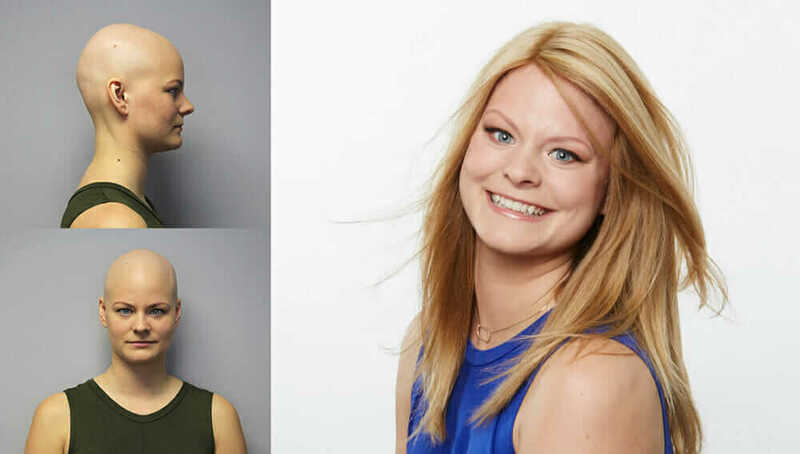 Malin Mumford before and after receiving her prosthetic hairpiece. Courtesy Transitions Hair Solutions. Martin Wallace, GlaxoSmithKline’s director of technology seeking, talks about the future of medicine and how 3D printing pharmaceuticals can improve both R&D productivity and patient benefits. New technology allows the pharmaceutical industry to print tissue samples that reduce the need for animal testing, print personalized medicine to simplify the supply chain, and “create complex shapes and geometry in order to deliver the drug in a different way,” Wallace says. Manipulating the geometry of a tablet could be used to adjust the drug loading, modify the release, or mask the taste of a medicine. 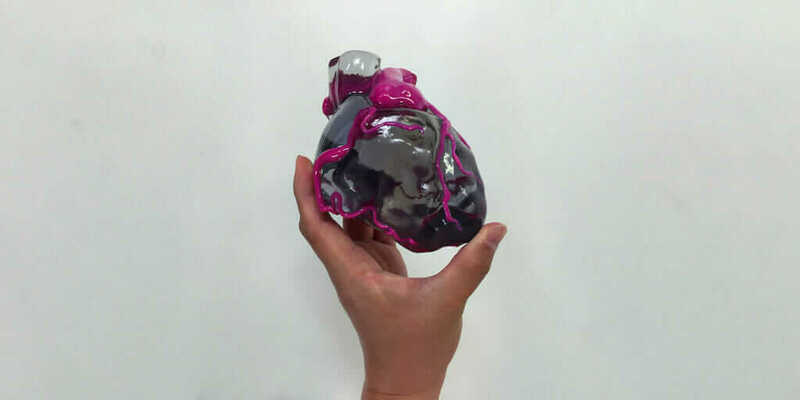 3D-printed heart model. Courtesy Dr. Maki Sugimoto. Dr. Maki Sugimoto is no stranger to bringing mobile devices, 3D printers, and virtual reality to the medical world. His work with 3D imaging led him to develop a method called Bio-Texture Modeling to 3D print bodily organ replicas that are anatomically correct and have a realistic texture, mass, and other physical qualities. With the replicated organs, patients can gain better understanding of their diagnoses, and surgeons can interact with the models before procedures to noninvasively gain information on the organ itself.